Witness the vibrant skyline of Hong Kong, an impressive urban territory on the southern coast of China. You've now added Temple Street Night Market to your itinerary. For shopping fun, head to IFC mall or Ladies Market. Pack the 26th (Wed) with family-friendly diversions at Hong Kong Disneyland. Spend the 27th (Thu) in some colorful company at Ocean Park. 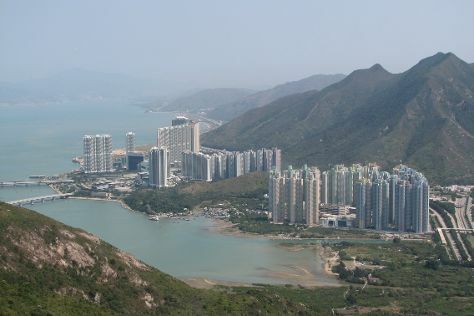 There's still lots to do: step off the mainland to explore Lantau Island, get a taste of the local shopping with Bird Garden Yuanpu Street, and make a trip to Hong Kong Skyline. For reviews, traveler tips, photos, and more tourist information, read our Hong Kong travel itinerary planner. If you are flying in from Singapore, the closest major airports are Hong Kong International, Shenzhen Bao'an International Airport and Guangzhou Baiyun International Airport. April in Hong Kong sees daily highs of 31°C and lows of 24°C at night. Cap off your sightseeing on the 27th (Thu) early enough to travel back home.